Looking for a solution for your server problems? Our server repair Perth is the answer! Here at Aleph IT, we cater even the most complex overhauling and troubleshooting of any issues that your servers may have. Home and business computers are viewed by most individuals to function similarly. What they don’t know is that, business computers are a bit more complicated when it comes to system functions. A specialist with well- rounded equipment and skills is a must especially in cases where server problems occur. Many small and medium scale businesses crosscut expenses by settling for less than basic repair providers. These providers focus merely on the home user’s needs. They don’t have enough knowledge to handle the needs of a business computer system. The function is totally different even home and business computers are both similar in structure. Abrupt server repair without due assessment often leads to more complicated issues which could be detrimental to your business. In Aleph IT, we live up to our vision of providing only the best to our customers. Licensed and qualified IT specialists are trained in repairing a wide server problems. We make sure to let our customers get the best from what they spend. As an experienced IT company, we cater holistically the needs of our customers. With our state of the art technologies and professional workers everything is easy and possible. 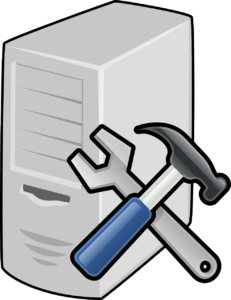 Those are just a few of the many server repair services that our company offers. Since having a computer is now a necessity in running a business, business platforms need business computer systems that are cutting- edge. The more advanced the computer is, the more complex its maintenance. For businesses that use computer significantly, to settle for less should never be an option. We are proud to say that we do business with a heart as we provide free quotes to our customers. We give honest and free expert opinion of the things to do of which we are highly- qualified of doing. You can be sure to get what you expect as our personnel are Avaya, Microsoft, Network+, and A+ certified. We speak less but do more. Feel free to contact us! Get your server repair Perth done with us and we guarantee that will be worth your every Penny! Also read PC Repair Perth. This entry was posted in Aleph IT Services and tagged repair mysql server, server repair, server repair service.